The 35th Infantry Regiment Association salutes our fallen brother, PFC Carl Duane Pruitt, who died in the service of his country on November 4th, 1966 in Khanh Hoa, Vietnam. The cause of death was listed as Drowned. At the time of his death Carl was 20 years of age. He was from Gastonia, North Carolina. Carl is honored on the Vietnam Veterans Memorial at Panel 12E, Line 24. The decorations earned by PFC Carl Duane Pruitt include: the Combat Infantryman Badge, the National Defense Service Medal, the Vietnam Service Medal, the Vietnam Campaign Medal and the Vietnam Cross of Gallantry with Palm Unit Citation. Carl was caught in an undertow while swimming at Nha Trang beach. He was in hospital there recovering from malaria. 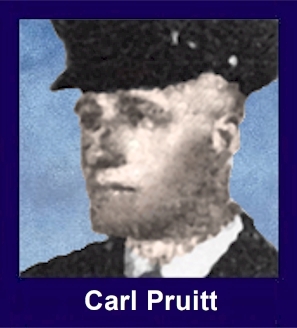 He was the Husband of Virginia L Pruitt, 56 Love Street, Ranlo, NC.